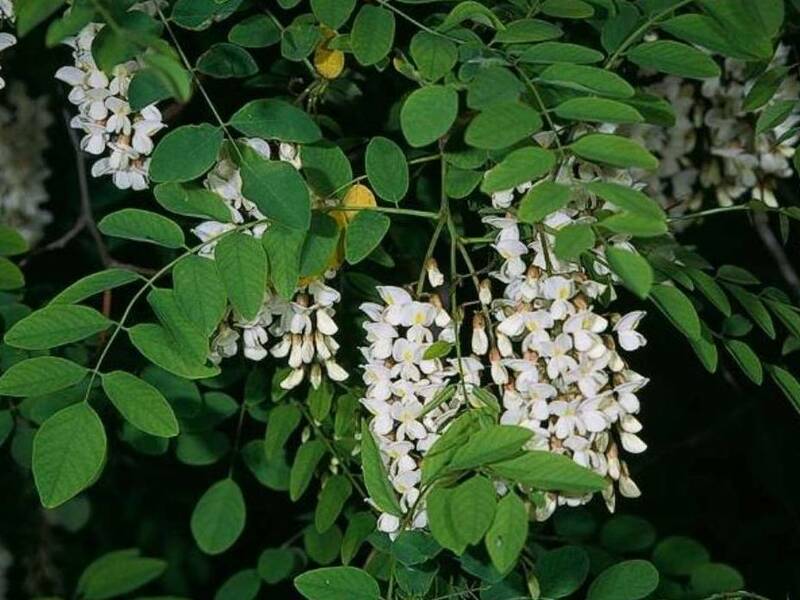 Robinia pseudoacacia (black locust) is a deciduous tree (family Fabaceae) that grows to 100 feet tall. Historically planted as a landscape tree, black locust has escaped cultivation and become invasive in California and elsewhere. It can grow on a wide range of sites, but grows best on rich, moist, limestone-derived soils. It does not do well on heavy or poorly drained soils, although it appears to be tolerant of some flooding. Through root sprouts and seedling establishment, black locust creates large stands that displace native vegetation. Its seeds, leaves, and bark are toxic to humans and livestock.